36-1/4" cutting length. For the ultimate in Rolling Trimmers choose the Premium Line. 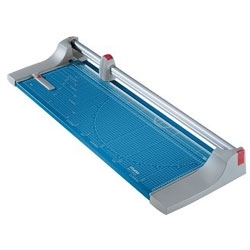 This Premium Rolling Trimmer is perfect for all your trimming needs from paper, film, photos, fabric, as well as mat board. 446 36-1/4" 22 Sheets 44-1/8" x 15-1/8"